Total Carat Weight: 0.67 ct. 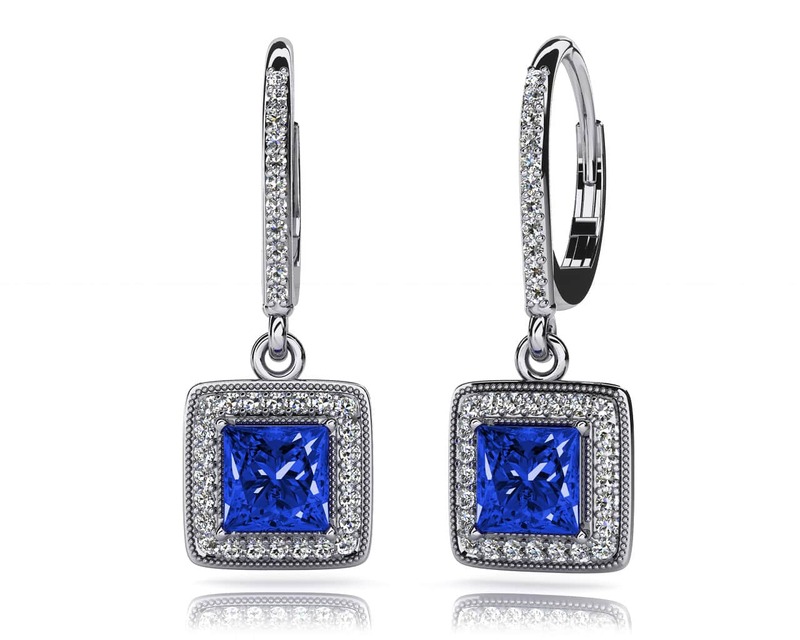 This pair of drop earrings has a diamond lined lever back connected to a drop portion below. 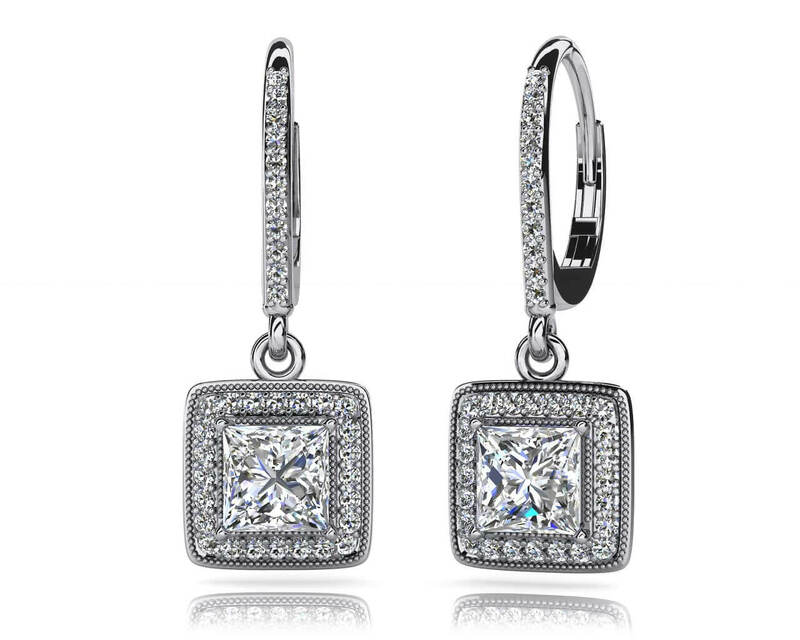 The dangle portion contains a lovely princess cut gemstone bordered by milgrain and a row of round diamonds around the perimeter. A secure four prong setting holds the gemstone in place. 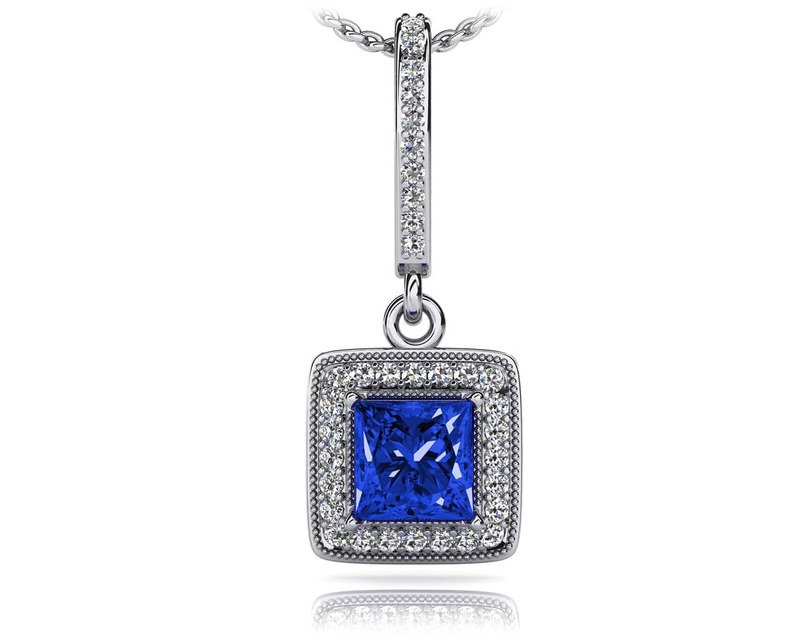 Choose from four sizes including .67, 1.11, 1.55 and 2.11 total diamond carat weights. Create a unique pair when you personalize them with your favorite gemstone. Model Carat Weight: 0.67 ct.
Stone Carat Weight: 52X.007 ct., 2X0.155 ct.